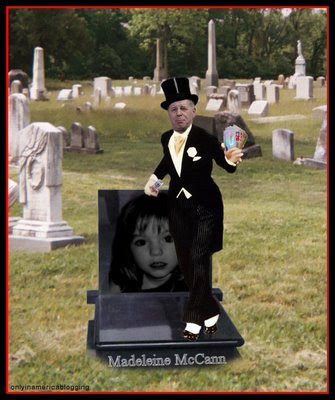 "Perhaps the single most shocking finding in our article is that the evidence strongly suggests that Brian Kennedy and the McCann Team arranged and funded the search of the Arade Dam in Portugal, which was claimed to be looking for Madeleine’s remains." A short biography of Brian Kennedy followed by analysis of his involvement in searching for the truth about Madeleine McCann. The McCanns’ chief reputation manager, Clarence Mitchell, recently described the disappearance of Madeleine as ‘a complete mystery’. 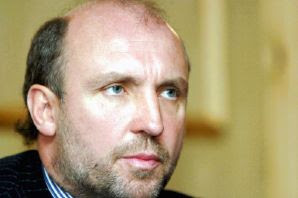 One of the persons most closely associated with attempts to unravel this mystery is Cheshire-based multi-millionaire and double glazing magnate, Mr Brian Kennedy. The purpose of this article is to examine his actions in the Madeleine McCann case. There are essentially two rival versions of what happened to Madeleine. The McCanns claim that Madeleine was snatched from their holiday apartment during the evening of Thursday 3 May 2007. They say this event happened between 9.10pm, when Dr Gerald McCann is said to have left the apartment after checking that all was well with the children, and 9.15pm when their friend Jane Tanner is said to have seen a man carrying a child. By contrast, the team of Portuguese detectives that originally investigated the case reached the conclusion that Madeleine had died in the McCanns’ holiday apartment and that her parents, with or without the help of others, must have hidden or disposed of her body. The senior detective in the case, Goncalo Amaral, wrote a book, A Verdade de Mentira - ‘The Truth About a Lie’, setting out the evidence for their conclusion. Many people believe one explanation or the other. Many others do not know what to believe. Leaving these theories aside, we will look at Brian Kennedy’s actions in this case and discuss the extent to which they support one or other of the above accounts of the reason her disappearance. 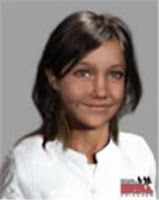 Brian Kennedy’s connection with the disappearance of Madeleine McCann was first announced in September 2007, four months after the McCanns reported Madeleine missing. He has been portrayed as an unselfish, warm-hearted and generous man who for purely altruistic motives has given up a significant amount of his time and energy and a lot of money to try to find Madeleine McCann. I shall explore that claim in this article. But first, it is necessary to take a brief look at the life and career of Brian Kennedy prior to September 2007 when his interest in the disappearance of Madeleine McCann became known. Given that I am currently enjoying something of a reputation as having a big, fat, scurrilous mouth, (possibly true), and that I never know when to keep it closed, (ALSO possibly true); I though I would confound my detractors and keep it short and sweet! Am I alone in thinking how utterly preposterous and somewhat disturbing it is, that at LEAST 25 Media outlets, Newspapers and BROADCASTERS, are currently reporting about a little girl having been found in INDIA that resembles Madeleine McCann and that the McCanns are awaiting the results of the DNA test; whilst at the same time, the police and authorities in the LEH province of India, the scene of this furore, are all utterly bemused and baffled, asking questions as to what everyone is going on about as they have no KNOWLEDGE of ANY girl having been found OR of any DNA tests!!! Clarence Mitchell has made about 4 statements concerning this latest "sighting", ALL of which are nonsensical and actually CONTRADICT each other. Of course, there are MANY people who DO follow this case with open hearts, hoping upon all hope that it IS the little girl, and they will continue to pray and hope for Madeleine's safe return. They will also lambast and vilify the PRESS and Media who report such "sightings" and developments for raising false hope. Whereas, if they examined such 'reports' and continued widespread coverage with a little more scrutiny and impartiality, they would arrive at the same, logical conclusion. And that Clarence Mitchell is their Master! Clarence Mitchell, the McCanns and those scurrilous CURRY Munchers! 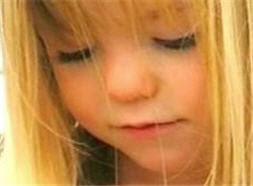 McCann family spokesman Clarence Mitchell said: "Kate and Gerry do not believe the child seen in India was Madeleine. 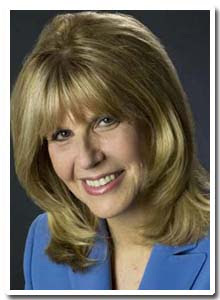 They have seen photographic evidence and concluded that it was not her." 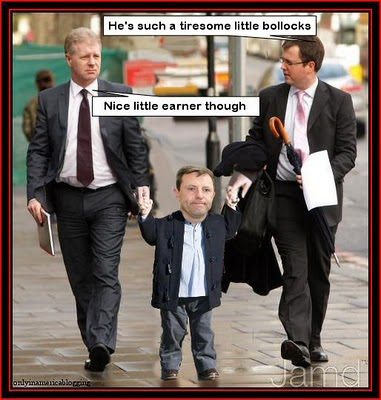 Why haven't the McCann's sued Martin Brunt? Criminal profiler Pat Brown: "If The Profile of the Disappearance of Madeleine McCann was "rubbish", the McCanns wouldn't have paid it any mind."